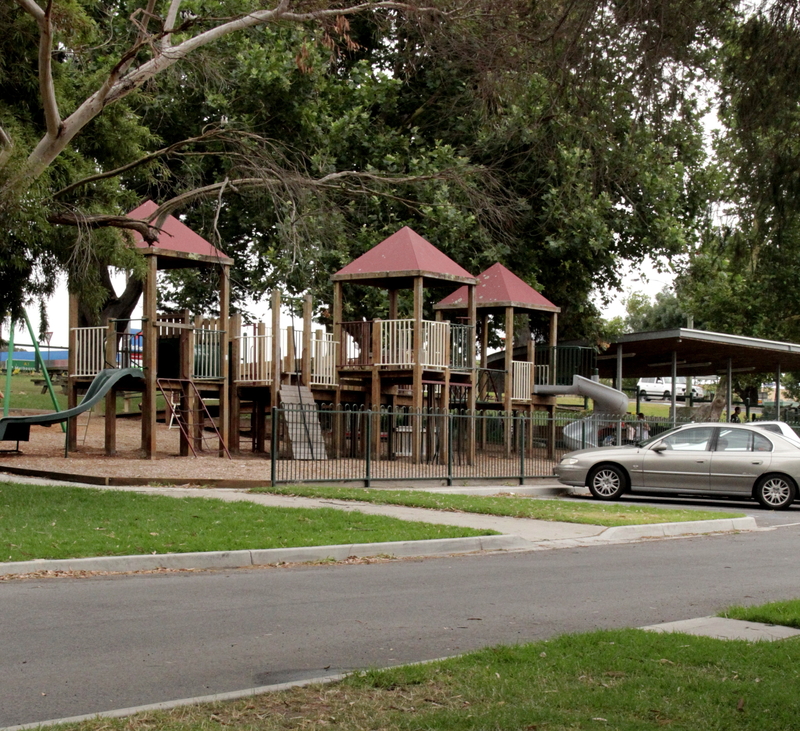 The Princes Highway passes through Melbourne to some of our premier and best known playgrounds in the east. Take Lakes Entrance for instance. It is a fair drive, and the half way point for a rest break could be Traralgon, Rosedale, Sale or perhaps Stratford. When planning a long drive, it is always a good idea to be aware of opportunities for a rest break. Never can we stress the importance of maintaining concentration levels too much. Playground and sheltered picnic area. Sale presents a great opportunity for a walk, picnic or barbecue. Lake Guthridge is a great choice, since it boasts ample parking, barbecue facilities, picnic tables, play equipment, toilets, a large fountain, and a walking path around the lake. You could take a kayak, canoe or small sail boat. Keep in mind too, that is is part of a 35 hectare parkland, with botanic gardens, indigenous artworks, and a free fauna park with red necked wallabies, pademelons and parma wallabies. Click here for a map of the lake and features. It is such a pretty and charming lake at that, with interesting birdlife, and the fountain operates every half hour or so. 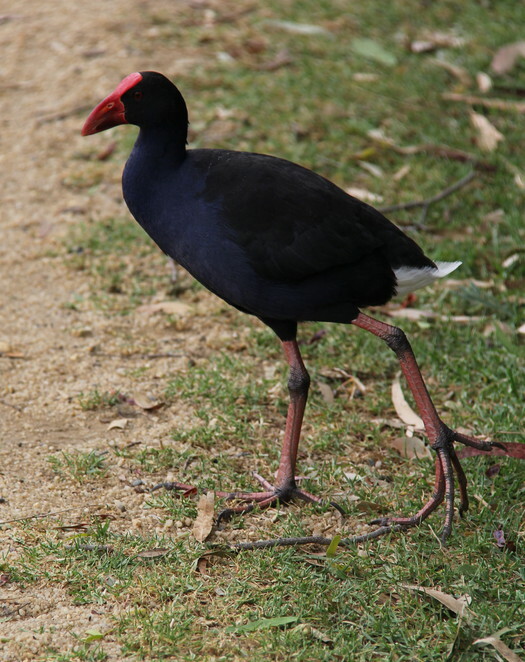 You will see black swans, seagulls, purple swamp hens, and pelicans to name a few. For a complete list compiled by experts click here. Black Swan and Eurasion Coots. The Lake is found easily as you enter town from the west (the direction of Melbourne). It is situated at the major roundabout where the Princes Highway turns left through the shopping precinct. Simply pass directly though the roundabout and turn immediately right, and that is the main car park. 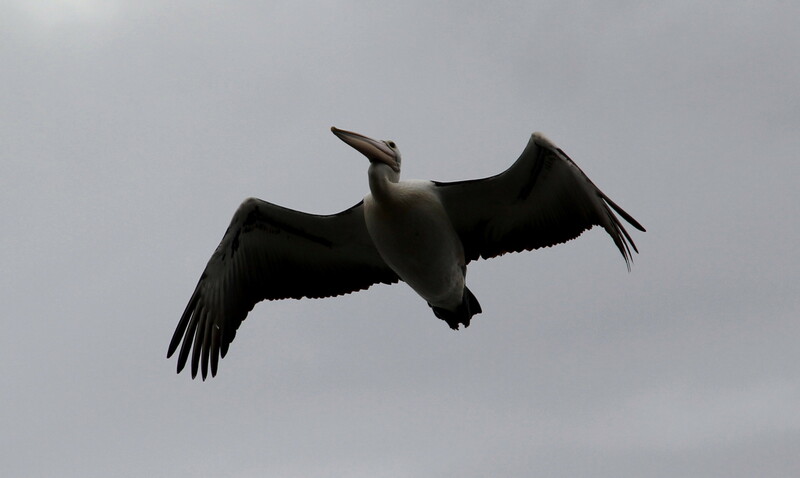 A pelican majestic in flight. The history of the area is quite interesting. Angus McMillan was commissioned to find a route overland to Port Albert and survey potential pastoral lands around 1840. After several attempts, he managed to do so and the track became the major passage to the east. As Pastoralists moved eastward, Archibold MacIntosh developed a property at Flooding Creek in 1844. Town plots went under the hammer in 1851 and the town was renamed in 1854 to Sale. Being named after General Sir Robert Sale, who was killed in the Afghan War of 1845. The town grew as an important base for the Eastern Gold Fields in 1851. Lake Guthridge was built in 1879, being named after Nehemiah Guthridge, the first Mayor of Sale. He proposed the lake be built from a then polluted swamp, rather than it be filled in. Looks like the perfect stop off - thanks for sharing, Andrew. It is sure is Lucy. I hope you enjoy it when you pass.